So, I guess I took March off from posting to the blog. Nothing like abdominal surgery to slow a person down. I am back, and full of ideas for posting, so hopefully content will be more regular from here on out. 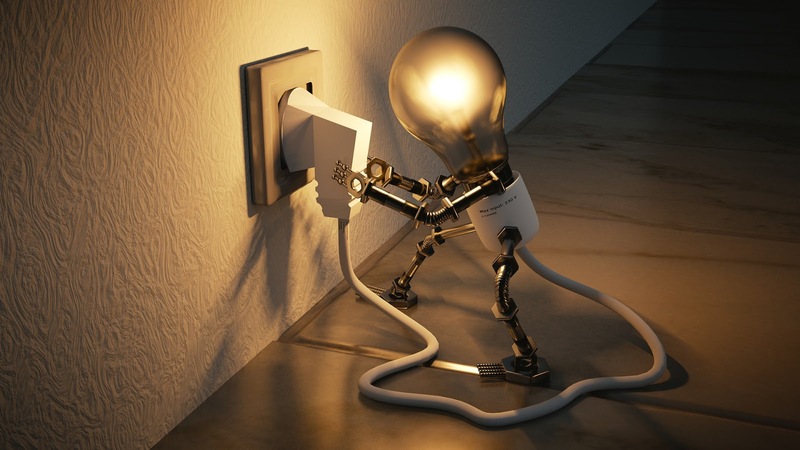 Remember that I am ALWAYS interested in posting guest posts, or talking to you about really great programs or services and highlighting them in the blog. I came back from the Power Up: A Leadership Conference for Youth Services Managers with lots of ideas and things to share and follow-up on. I am waiting for the resources to be uploaded to the conference site so I can share specifics. So watch for more of that! One thing I can reflect on right away was something that Andrew Medlar, the opening keynote said. He was talking about how sometimes staffing or budgets get cut and we end up not being able to provide the level of service we want to, and he quoted a friend as saying, "I may not be able to keep up my standards, but I can keep up my values." I liked this reminder. It can be discouraging to see all the things you are not able to do, or all the materials you aren't able to purchase, or all the partnerships you aren't able to pursue to the level you want to. We all have high standards for our work, and want to do SO MUCH, because there is so much to be done! Sometimes we can't quite keep up those standards, or meet the standards set forth for us by documents like the Wisconsin Public Library Standards (though you should check those out!). But we can stay true to our values, whatever those are. I found this comforting to think about, and also a rallying cry to keep paying attention and holding myself accountable, even as I sometimes find myself unable to keep up with my own (or others') expectations. What do the data say about how babies in Wisconsin are doing, and what could we be doing better? 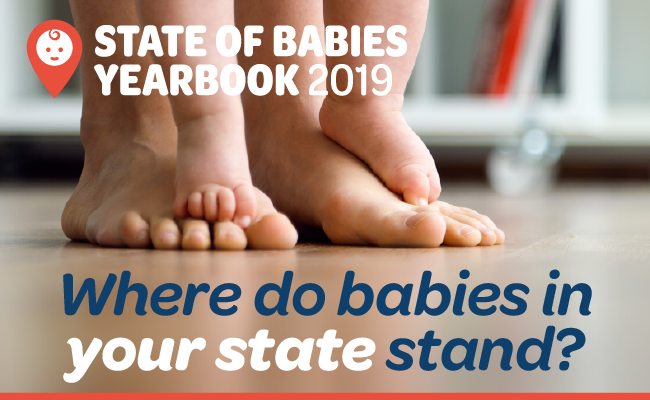 Zero to Three has collected a LOT of data in their State of Babies Yearbook: from how many families are accessing services they are eligible for, to how many infants live in poverty, to how many infants and toddlers have experienced two or more Adverse Childhood Experiences, and a whole lot more. In addition, they look at whether our state policies that support families with young children. 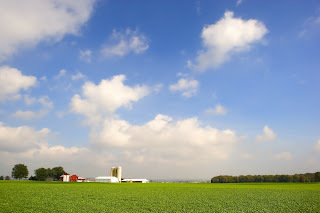 You can see how Wisconsin stacks up against other states, and you can get some ideas of the disconnect between all the amazing services we have in our state and some of the people who could use those services. I found it worth looking at. I hope you do too! I'm working with a few IFLS-area libraries and a marvelous load of other partners on the Talking Is Teaching Chippewa Valley initiative. The goal is to empower parents and caregivers with the knowledge that the more they talk (and listen!) to their kids, the better the outcomes. 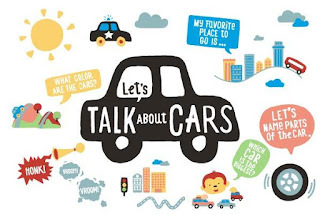 It fits perfectly with Every Child Ready to Read efforts, Parents Interacting with Intention playgroups, and just about everything else we do that is encouraging and supporting parents and caregivers. For the past few years, there has been growing awareness of the fact that many of Dr. Seuss's works have racist images. Many of these are in cartoons and advertisements he drew, but several of his books also have racist caricatures. There are arguments that the beloved Cat in the Hat is based on black-faced minstrel shows. Thanks to Kathy Larson from Eau Claire for pointing out this recent article about these concerns. 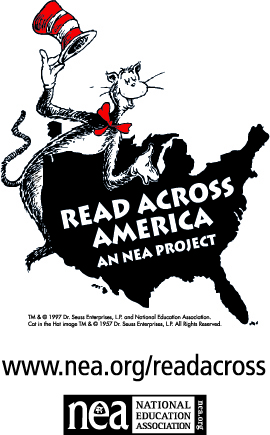 The National Education Association, the sponsor for Read Across America, has, in the past few years, focused efforts on promoting a more diverse array of books instead of focusing on Dr. Seuss alone. It's fun to celebrate favorite stories and have great traditions. But it's also important to showcase a whole variety of books, especially considering all the delicious ones published in the past few years. And important, just like with the Laura Ingalls Wilder books, to take a look at some of our favorites with a critical eye, and be aware of what we are featuring and why.